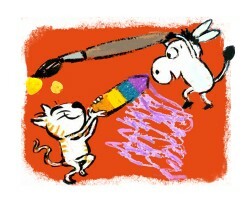 Bridget Marzo: Author-Illustrator – Make your mark with Bridget, Tiz and Ott! both in East London and in France since her first books were published in the 1990s. 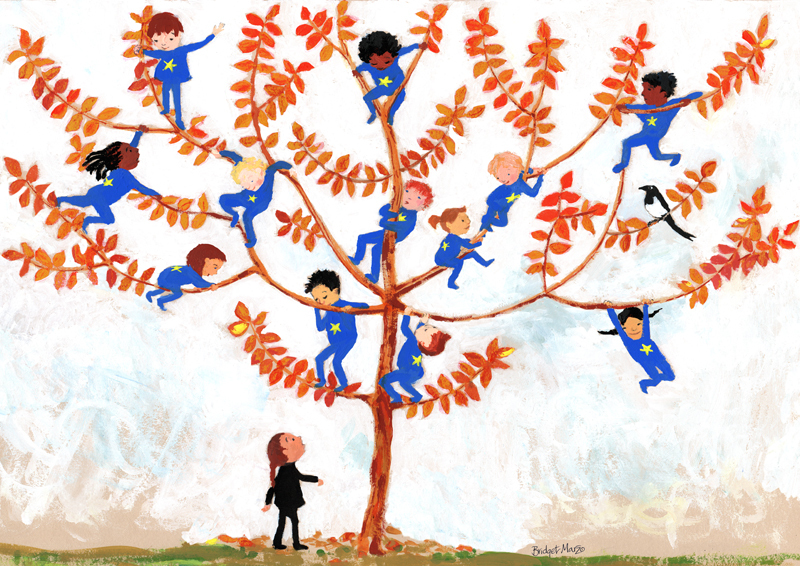 Proud to be one of 45 illustrators led by Axel Scheffler contributing our visions of Europe in the book DRAWING EUROPE TOGETHER (Macmillan November 2018). Book tickets here for the book launch on November 1, 2018 at Waterstones Piccadilly. 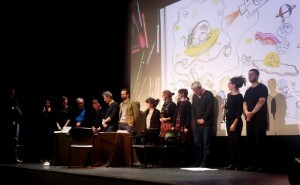 Every year fab authors and illustrators from both sides of the Channel come together to draw, visit schools and do all sorts of public events and workshops at the weekend including live impro drawing to live jazz. See you there? 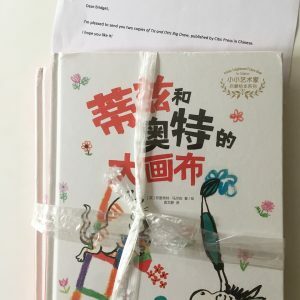 Tiz & Ott’s Big Draw goes to China! 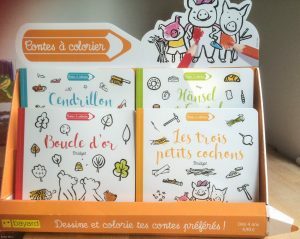 Here’s the Chinese co-edition of Tiz and Ott’s Big Draw published by Citic Press, Beijing . 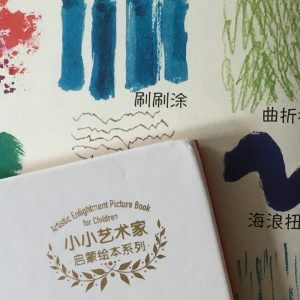 On it is a beautiful gold stamp with the words ‘Artistic Enlightenment Picture Book for Children’ – I feel honoured! Here I am in action with Tiz and Ott and a crowd of children and families in Tate Britain. 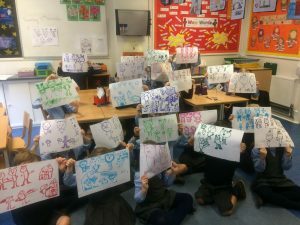 Look at the lovely art works the children made – in less than an hour – in the great London art gallery! I adapted 4 well known fairy stories in my latest French books Les Contes à Colorier (my “Draw Along Tales“) so that children use their pencils and crayons to help the characters along their way – as well as colour them in. Published by Bayard Jeunesse. Meanwhile, my characters, the high-energy scribbler Tiz the cat, and slow and steady Ott the donkey who paints, have been keeping me busy since Tiz and Ott’s Big Draw was published with the Tate UK and distributed by Abrams in the US. Here’s Tiz being useful – as a 3-D pencil holder! Big thanks to the fab designer Evavooo who loved my book character and created Tiz in 3-D! If you have access to a 3-D printer you can download the 3D template and make and paint a Tiz of your very own – for free! 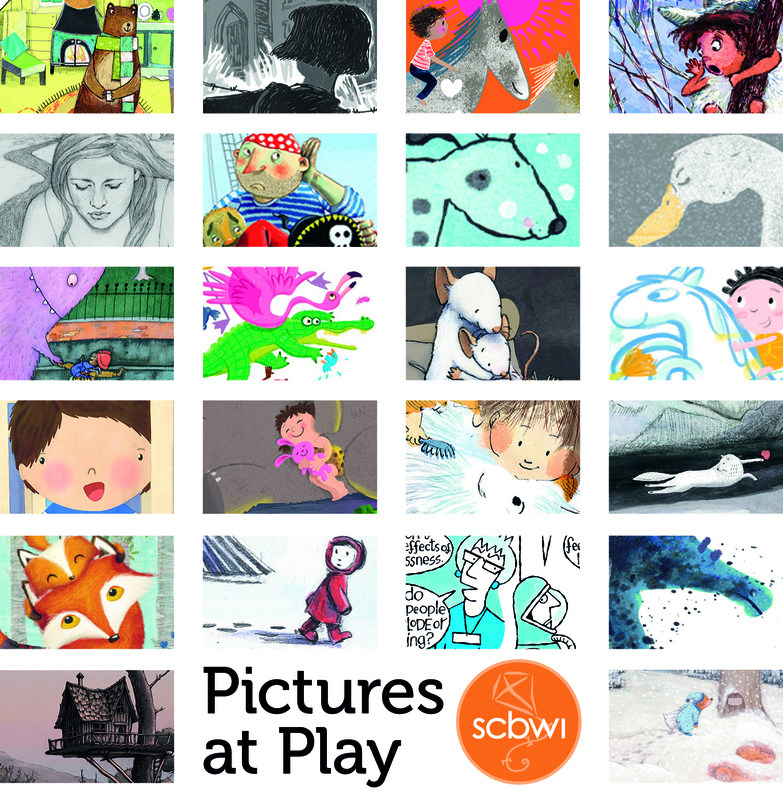 Some new work is in a juried exhibition of children’s author-illustrators including guests Leigh Hodgkinson, Tim Hopgood and Pam Smy, in PICTURES AT PLAY, the very first grand biennial illustration exhibition by the Society of Children’s Book Writers and Illustrators, British Isles, at the Half Moon Gallery, London. Our books and giclée prints of our exhibits will be on sale thoroughout the exhibition. 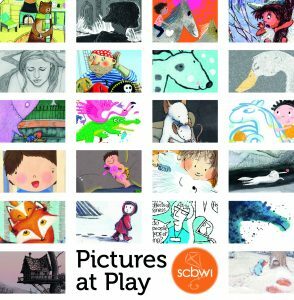 On December 2, 2017, Play with pictures at PICTURES AT PLAY! Join me and other exhibitors at the Half Moon Theatre at their free Winter Arts Fairfor some fun and interactive drawing events with families. 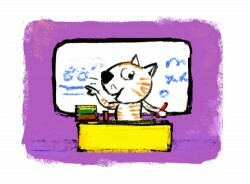 Would you like an author-illustrator visit to your school, bookshop, museum or event? If so please visit Events Page for more details of my workshops and bookings. 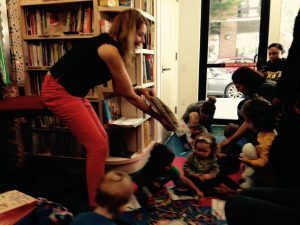 I love working with children of all ages – and adults too. The fantabulous South Ken Kids Festival2016 started with a tribute by Quentin Blake to his French connections in art and music. I had such fun drawing live on stage with the great artist-author Serge Bloch , and later drawing to jazz trumpet alongside the likes of Axel Sheffler, Dorothee de Monfried & Barroux. Take 90 children ages 9 – 12 from a mix of schools and mix them up with over a dozen authors and illustrators to make 90 new stories! In my 30 minute illustration plenary at CWISL’s ShoutWest Festival, I showed children ages 9 – 12 how to relate characters to each other – with the simplest of means. 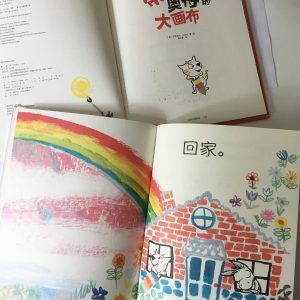 Let’s make a book with Bridget’s Book of English! A family painting workshop inspired by a fascinating book on show in their current exhibition Youtopia, called the Little Traveller. Pop Up workshops, Willam Read and Lubbins Park Schools, Canvey Island. Huddersfield University talk to final year illustration students. for a day of public events for children and families including a Tiz and Ott workshop at 2pm. drawing to Jazz at the South Ken Kids Festival -artists l-r – Emily Hughes, Delphine Perret, Claude Ponti, Bruno Heitz, Barroux, Benji Davies, Marjolaine Leray, Bridget Marzo, Beatrice Alemagna, Axel Scheffler..and jazz trumpetist Airelle Besson and guitarist. 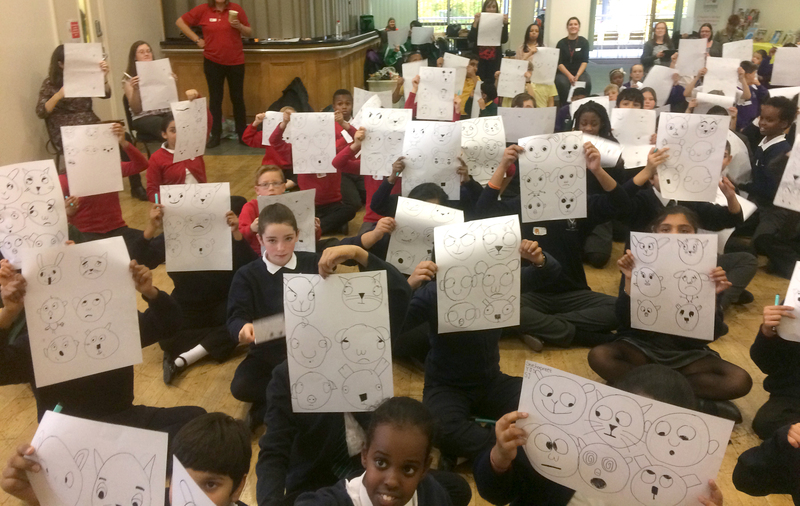 For more about the inspiring draw that is the South Ken Kids Festival 2015 see my blog! Draw Tiz and Ott and more with me at my Southwark Reading festival workshop organized by Tales on Moon Lane, Inspire Me and the Dulwich Picture Gallery. ShoutSouth Festival at the London Southbank university. Check out my blog post about getting over 100 adults and children drawing stories out of characters at Shoutsouth. 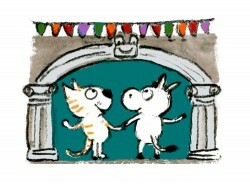 Official publication date of my next book Tiz & Ott’s Big Draw by Tate Publishing UK – hooray! I will be giving two holiday workshops for Chelsea Young Writers in London. 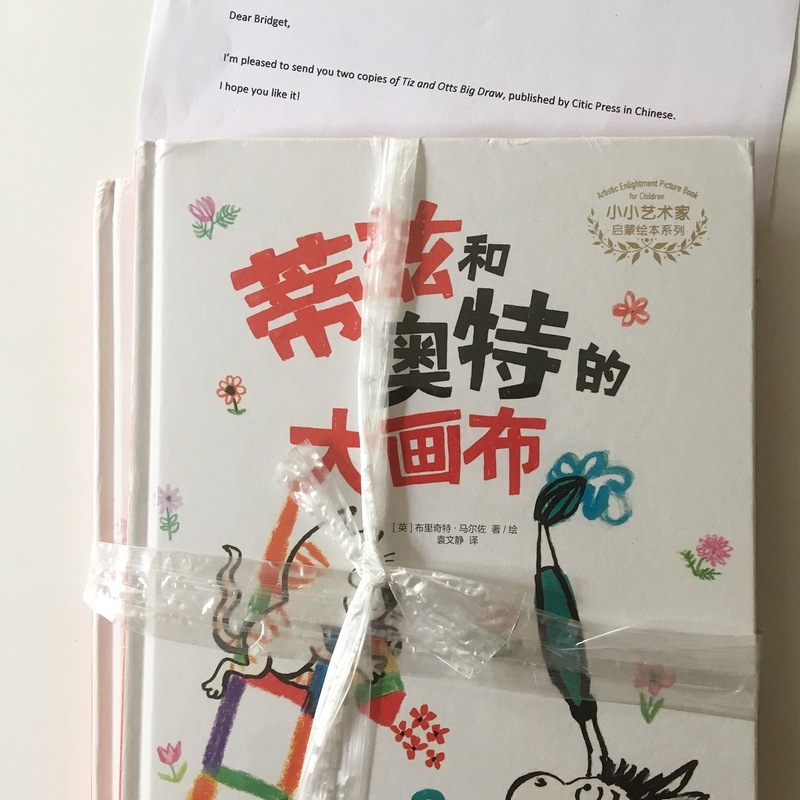 I’m very excited to have been invited to the China Bookworm Festival. I will be giving talks and workshops for children and adults in Beijing and Suzhou. 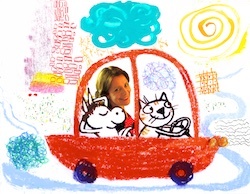 Tues March 24: Beijing The World of Kids Lit with Frané Lessac and Anette Øster. Wed March 25 10am: Beijing Storytelling through words and drawings , workshop ages 6-12. Thurs March 26: Beijing School visits. @SpeakingofBks @SteveColeBooks @TheJanePorter Ooo - may it fly off sheves! RT @ClaraVulliamy: Call by to read about the wonderful work of Islington Centre for refugees and migrants claras.me/2015/10/the-islingto… RT v appreciated, thank you. @MaggiePamplin Mutual tweet appreciation! More fun coming goo.gl/S7hE44 for UK's busy @The_Big_Draw month @IWLF @PopUpFestival too.